Originally published in HBR China. Ample research suggests that many mergers and acquisitions (M&A) fail to deliver on the promised value creation. In our experience, the cause of this underperformance is not insufficient management of the “harder factors,” such as financial valuation, and legal and commercial due diligence. Instead, our clients tell us that in making M&A work, the human side is actually the most challenging. We don’t fully understand each other. We are annoyed by how the other company’s leaders and employees behave. We suspect there might be bad intentions behind their behaviors. We really don’t want to work with them anymore. Once this dynamic takes hold, it’s very difficult to get the organization back on track and working on the priorities of the merged business. Drawing on our work with clients, we have identified several myths that can undermine successful culture integration and would like to dispel a few of the most common ones here. Myth 1: We have to integrate our cultures. If a global industrial consortium acquires a small tech startup to help it shift toward digitalization, probably the worst move it can make is to integrate the cultures. Culture integration is never the goal itself; it’s a means to a strategic end. Overall, there are three culture integration strategies — integration, assimilation and separation — and all are valid and effective strategies, depending on the strategic rationale of the acquisition. Integration: When organizations create a new culture that is different from both existing cultures. Assimilation: When one company adopts the culture of the other. Separation: When the main cultures remain separate. In this particular case, the strategic rationale and planned synergies required strong integration of the operating models. Myth 2: The smaller (and/or acquired company) needs to adjust its culture to the acquirer’s. Executives of the Chinese company made a joke that spoke to this myth: “We’re sure that we’ll have to adjust our culture. After all, we are the ones that were acquired.” To set the culture integration strategy, it helps to first understand the differences and similarities between both cultures and how well they drive positive outcomes (e.g., achieved targets, engaged employees, satisfied customers, levels of innovation, etc.). Through our proprietary culture diagnostic tool, we gained some interesting insights. While not identical, the cultures of the companies were very similar: Both cultures emphasized a certain level of risk avoidance, strong caring about their employees and a focus on achieving business results. We showed leaders from both organizations that if they looked beyond the surface of being Western or Chinese, they would realize their cultural differences were not significant. Seeing the change in how they viewed each other was nothing short of amazing. This opened the door to a discussion about adopting the best aspects of each culture. For example, the Chinese company’s culture excelled at realizing positive outcomes, especially for clients and employees, and, thus, could also help the MNC learn to navigate the local business landscape. Company leaders collectively concluded that the critical priorities were the integration of the operating model and processes, developing relationships with and learning from each other, while delaying making any significant culture change in the short term. Myth 3: If both companies are of similar size, you should target a culture that is in the middle. Rather than trying to reach a center point between cultures — for example, bridging the gap between a culture that prioritizes enjoyment and another that emphasizes order — focus on the cultural attributes that will help achieve the objectives of the combined organization. We asked both executive teams to what extent they felt that their current cultures helped them cope with market and internal challenges and achieve their ambitions. They wished to safeguard unique elements of their current cultures (i.e., caring for employees and driving results), while making some shifts in order to better connect with the market, become more customer-centric, be more open to and even proactively embrace change, and capture market opportunities through an innovative and entrepreneurial mindset. Myth 4: You can change cultures solely through communications about new values. What exactly do you want me to change? Why do you want me to change? What will be the benefit of this change? Being transparent about the culture diagnostics — in this case, revealing the limited differences between the cultures — is a crucial first step. Explaining to the teams that both cultures struggled with tackling market and internal challenges answered the “Why change?” question. Many employees will wonder if the changes are real — or if they can go back to the way things were after a while. To show that the culture change is more than words, leaders will need to demonstrate the change in their own actions, reward people for changed behaviors, hold people who do not change accountable, and regularly convey the benefits of the changed mindset and behaviors. For it to ultimately deliver on its promise, this acquisition has several remaining challenges to solve. But the organizations made a great start by allowing “both sides” to deeply understand each other, respecting each other’s organizational personalities, and driving changes based on business sense and effectiveness, rather than politics and power. By resisting the common culture myths, other merging organizations can do the same. Click here for the Chinese translation. 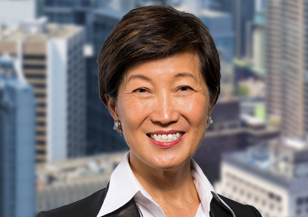 Alice Au is a member of Spencer Stuart’s global board of directors and leads Spencer Stuart’s global Financial Services Practice out of Hong Kong. She also leads the Board and Private Equity practices in Asia Pacific. Reach her via email and follow her on LinkedIn. Why don’t mergers achieve their full potential? Flawed leadership selection, cultural tensions and conflict among the top team are the main reasons.